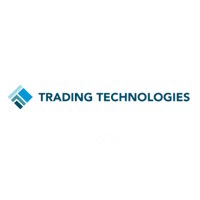 High-performance trading software provider, Trading Technologies International, Inc. (TT), has appointed Brian Mehta as its newest Chief Marketing Officer (CMO). In his new role as CMO at TT, Mr. Mehta will be tasked with developing the company’s growing brand and overseeing its new product launches. He will serve as a member of the executive team, reporting directly to Rick Lane, TT CEO. Mr. Mehta joins from Motorola Mobility, having worked as its Head of North American marketing. He has also overseen a variety of marketing initiatives and partnerships, including those with the National Football League (NFL). “Brian brings a wealth of marketing experience to the table, as well as a track record of successful product launches. We’ve always been about providing traders with the tools they need to succeed, and Brian will help us better articulate just how dedicated we are to that mission. As we continue to redefine our place in the industry with the launch of the new TT platform, Brian’s leadership and brand acumen will be invaluable,” added Mr. Lane in an accompanying statement.